ORDER by PHONE: You may order over the phone by Calling 1-352-688-8160 Monday to Friday between 10:00am and 5:30pm EST. 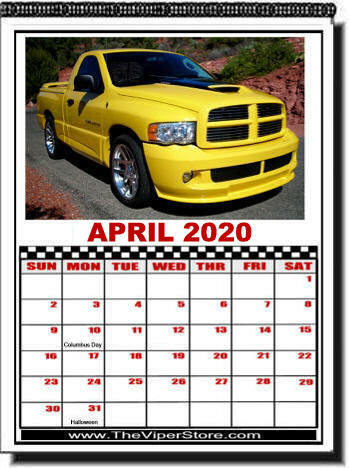 The only all RAM SRT10 Calendar like it on the market! Includes 13 Current months plus Cover and back. The Calendar will start with the month you buy it in so you get 13 usable months! 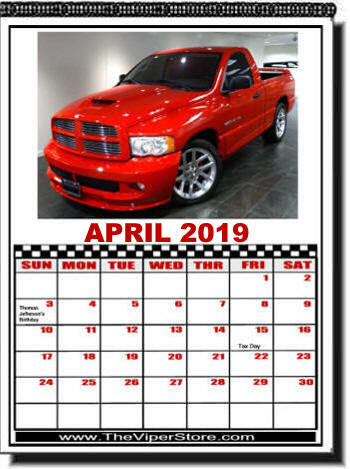 Each month is on 8½" by 11" high gloss slick sheet. Spiral bound and ready to hang. 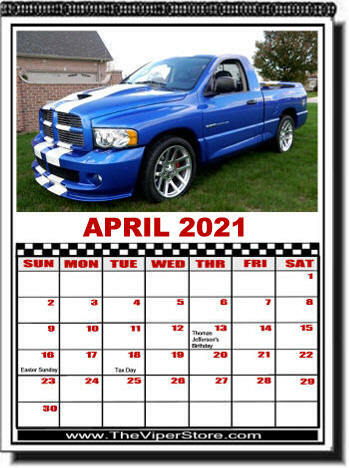 Each month show cases a photo of a different Viper Truck. Included are RAM SRT10 8.3L Viper Trucks from 2003-2006.